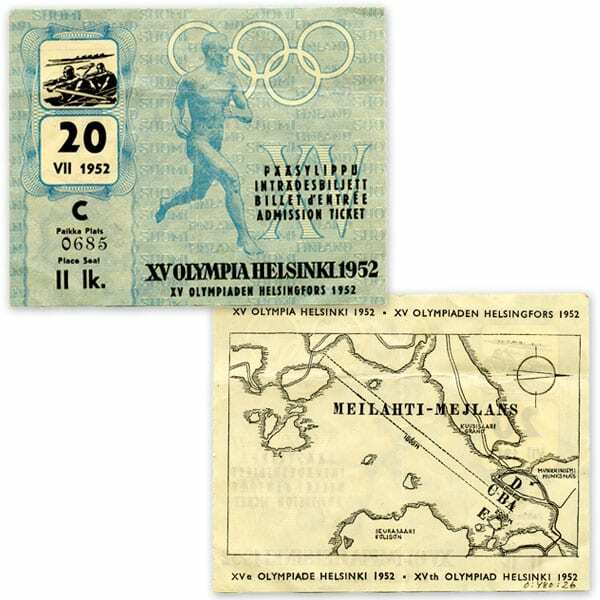 Description: The text: XV OLYMPIA HELSINKI 1952. Date: 20 VII 1952. Seat: C 0685. II. lk [II class]. Picture: rowing. Other information: Ticket for the preliminary heats of rowing at the Rowing Stadium in Meilahti bay.